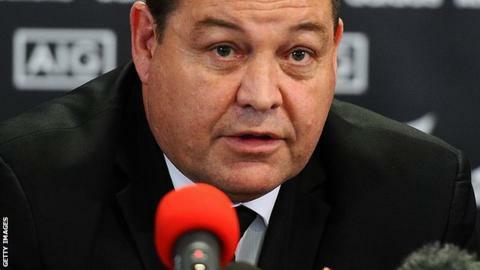 New Zealand coach Steve Hansen has signed a contract extension until 2017. Hansen's previous deal ran out after the 2015 World Cup but he will now be in charge until after the Kiwis host a British and Irish Lions tour. The former Wales coach is the first All Blacks boss to be given a contract extension beyond a World Cup. Hansen had been assistant to former coach Graham Henry since 2004. He succeeded him after New Zealand's 2011 World Cup triumph. The All Blacks have won 38 of their 42 tests in Hansen's tenure, with the other games bringing two losses and two draws. "After getting the support of my family and various team personnel to continue, I asked myself if I still had the hunger and desire to continue in the role," said Hansen. "I do, so the decision to continue became a no-brainer, because there is no better job in world rugby."